In recent years, CO2 inflators and cartridges are considered as one of the must-haves in the bike saddle bag. One of the last thing you want to happen while riding is to get a puncture. This is where having a CO2 inflator saves you not only time, but also the effort of doing around 100 strokes pumping up your tires using the mini pump. You don’t want to be doing upper body workouts mid-ride, don’t you? I know you’ve definitely experienced that and hence the reason you’re after a CO2 inflator. Here are some of the best CO2 inflators for you to consider. 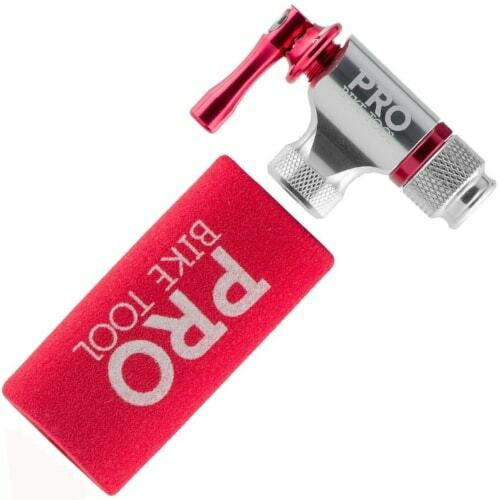 The Pro Bike Tool CO2 Inflator is a supremely simple and durable design made for getting you back on the road in as little time as possible. 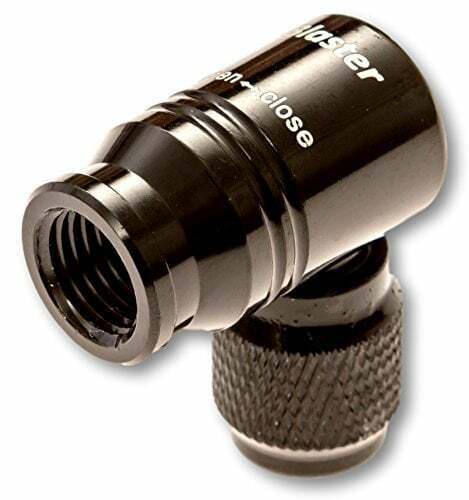 With an innovative 1-Turn Valve System, the Pro Bike Tool CO2 inflator instantly threads onto Presta or Schrader valves with a secure connection that makes leaks a thing of the past. Featuring CNC machined aluminum alloy construction, this inflator will stay with you in the long-run and won’t need to be replaced any time soon. The Genuine Innovations Air Chuck Plus is the lightest CO2 inflator in the market today at a mere 16g. For the weight weenies, you’ll appreciate its minimalist design. This small piece of tool, made of lightweight alloy packs a serious punch with a push to inflate technology that enables a very fast inflation. Best of all, it’s a one time investment as it comes with a lifetime warranty if it does breaks apart. 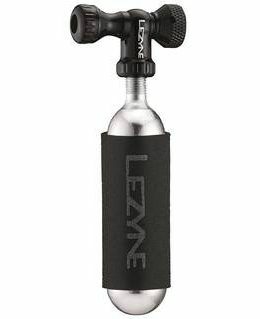 Lezyne is synonymous with quality bike tools and the Control Drive CO2 inflator keeps that proud history going. The CNC machined aluminum control knob allows you to perfectly control the amount of CO2 you’re releasing into the tires. It works just like a water tap! You don’t need to worry about using any adapters whether it’s Presta or Schrader valves because the Lezyne Control Drive supports both. It’s one thing to be packable, but it’s another thing to be supremely lightweight. 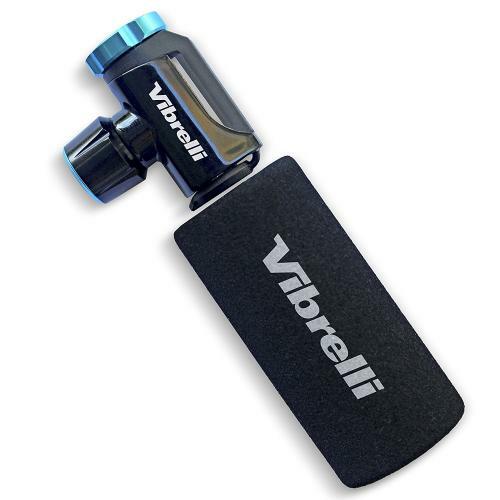 The Vibrelli Performance CO2 inflator not only fits perfectly in your saddle bag, but it barely adds any weight once there. Coming in at a lightweight 23 grams, this beautifully machined piece of kit uses a Frost Guard to ensure you don’t go numb with frost-burn when inflating your tire. Inflating the tires is as easy as just pushing the inflator head onto the tire valves. The Briskmore is a no-frills CO2 inflator that gives you everything you need and nothing you don’t to get you pumped up again. 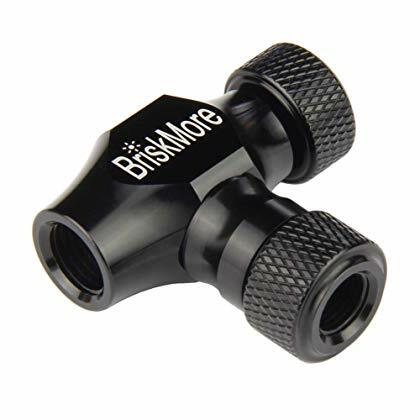 Despite the classic design, the Briskmore offers novel innovations such as an insulated sleeve that keeps your fingers from being frozen by the CO2 blast. CNC-machined aluminum alloy guarantees a long-lasting product that doesn’t leak and is both Presta and Schrader valve-compatible. Just when you thought you’d found the lightest or smallest CO2 inflator on the market comes The Blaster. With a measured weight of only 10 grams and no bigger than a quarter in size, The Blaster takes the cake when it comes to extreme portability. You can carry two or even three Blasters and still not add as much weight or size as other CO2 inflators do to your saddle bag. 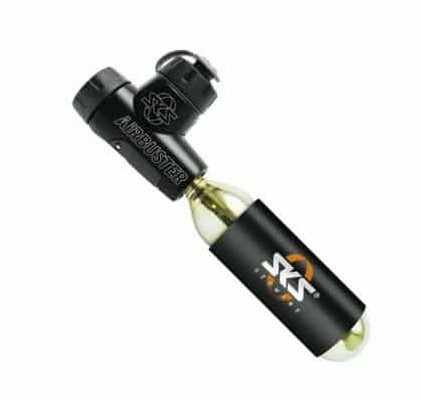 The SKS Air Buster is an advanced CO2 tire inflator that gives you the ultimate in control. Not everyone wants the smallest or lightest inflator out there, and many prefer control over other features. For that crowd, the SKS Air Buster perfectly fits the bill. An integrated pressure control regulator helps you feed the tire exactly the right amount of air. Just because a thing is functional doesn’t mean it can’t be beautiful. The Portland Design Works Tiny Object CO2 Inflator features a bombproof CNC-machined aluminum construction wrapped in a full grain leather sleeve. The entire package is portable and featherlight, making it the perfect inflator for those looking for a space-saving inflator with good looks that’ll make your riding buddies jealous. 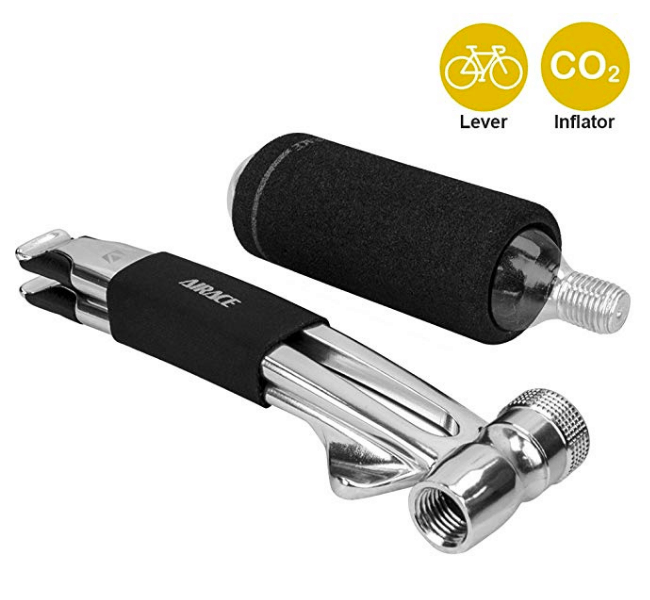 The Airace Lever + CO2 Inflator combo takes into consideration the likelihood that in order to change your flat tire you’ll need a bit of leverage to get it off in the in the first place. Pretty good guess, wouldn’t you say? With the lever and inflator seamlessly integrated into one polished aluminum tool, you won’t need to fumble around your saddle bag for levers or snap them again. 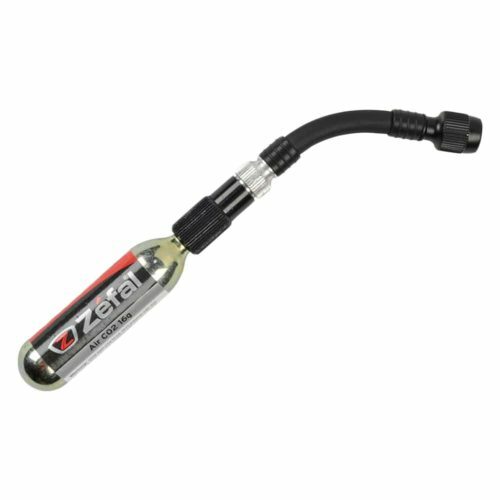 The defining feature of the Zefal CO2 pump is the long hose that attached to an adjustable flow-regulator built out of sturdy aluminum. The hose is great because it allows you to get some distance from the tire instead of being crammed up and fiddling your fingers in a restrictive space. You’ll want to wrap the regulator in a bit of your outgoing tube to protect yourself from being burned, however. The only time you’re going to need your CO2 inflator is when conditions are, in one way or another, unfavorable. In any of those circumstances and the countless others that result in flat tires, you’ll want a CO2 inflator that is simple, robust, reliable, and incredibly simple to use. Here’s what you should look for in a good CO2 inflator. There are generally 3 methods to release the CO2 from the cartridges into the tires. The difference between these 3 lies in the type of CO2 inflator heads. All 3 types work equally well. So, you’ll need to consider the one you’re most comfortable with. From my experience, the first option, press to release is the easiest and most user friendly. The Pro Bike Tool CO2 Inflator is a good choice for this. Once the CO2 cartridge is screwed into the inflator, all you need to do is place it on the tube valve and press the inflator head against the valve to release the CO2. PRO TIP : Practice how to use the CO2 inflator by inflating your tires at home. CO2 inflators heads are made with two materials. One is plastic, the other is aluminum. Plastic head construction results in a less expensive price tag, but it also means less durability. PRO TIP : Aluminum is stronger, lightweight and winds hands down in this category. 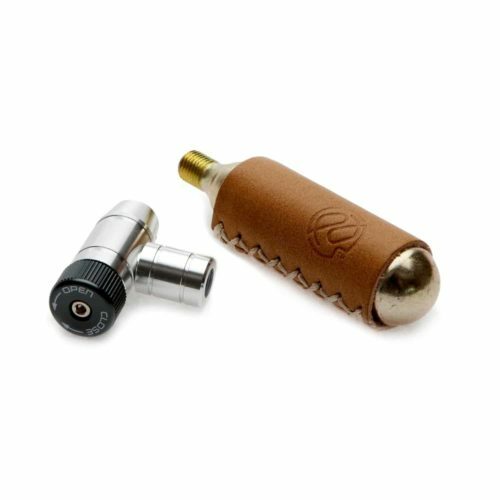 CO2 cartridges come in either threaded or non-threaded variations. These days, the threaded cartridges are common and easily found everywhere. Having said that, non-threaded versions are more plug and play since they only require a push into the pump to be ready for use. They are, however, slightly more expensive than threaded types and less common. PRO TIP : Go for threaded CO2 cartridges. Size is the most personal metric here but there are some basic guidelines to follow. Don’t go with a CO2 inflator that is so small you can barely get a grip on it. Instead, opt for an inflator that is a good balance between packability and stability when in hand. As with most things in life, you’ll need to practice using it especially if it’s your first time dealing with a CO2 inflator. The last thing you want to happen after a puncture is to use the CO2 inflator the wrong way. So, here’s how you use a CO2 inflator in 5 simple steps. Screw (clockwise) the cartridge into the inflator head until it’s tight. The inflator head will punch a small hole on the CO2 cartridge. Insert the inflator head into your tube’s valve. Either press or turn the head to release the CO2. If you’re using an unscrew to release inflator head, slowly unscrew the the cartridge to release the CO2. Make sure your tire is fully pumped up and then release the remaining (if any) CO2 away into the air. 1. Am I supposed to fully empty the CO2 cartridge? In most cases, yes. You need to keep 2 things in mind – your tire size and CO2 cartridge size. 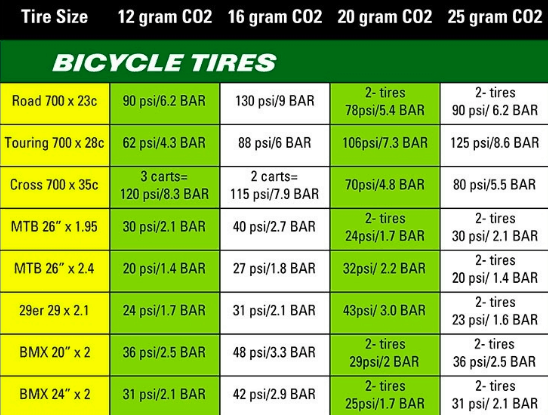 The chart below will give you a general guide on the expected tire pressure should you empty the entire CO2 cartridge. As the CO2 volume is fixed (depending on the cartridge size), the larger the tire size (volume), the less pressure there is. 2. Which CO2 cartridge size should I buy? For road bikes, you’ll do just fine with either a 12g or 16g CO2 cartridge. For example, a 16g CO2 cartridge will pump a 23c tire up to ~130psi and a 25c tire to ~110psi. 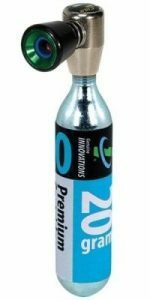 Alternatively, if you’re concerned of getting double punctures, and yet don’t want to carry 2 CO2 cartridges due to its size and weight, you can get a single 25g CO2 cartridge. A 25g CO2 cartridge can inflate two 23c tires up go 90psi. To do so, you’ll need a CO2 inflator like the Lezyne Control Drive or the SKS Air Buster, which has a valve control so that you can turn the air release on/off. 3. Is there a risk of me over-inflating my tires? There is no risk if you use the correct CO2 cartridge. Each CO2 cartridge comes in specific sizes, and hence a specific volume of air. Refer to the chart above to have a general idea of the tire pressure expected. If you felt that you’ve over-inflated the tires, you can always release the extra air by pressing on the tube valves. 4. How long will the CO2 air last in my tires? The CO2 in your tires only last for a few days. They definitely don’t last as long as the air you’ve pumped using a floor pump. The reason for this is because CO2 is actually soluble in butyl rubber, which is the rubber used to make the inner tubes. So, the next time you’ve used a CO2 to fix a flat, remember to release all of them when you’re home and pump the tire up again using a floor pump.